If you believe that recent medical care or treatment you have received has been of a poor standard and as a result of this has caused you to be injured or harmed in some way you might be able to claim medical negligence compensation. Poor treatment can even mean being prescribed the wrong medication and as a result the medication causing adverse effects. Often people who have been a victim of medical negligence are apprehensive about claiming compensation for the injuries caused but sometimes the injuries sustained are so bad that they cause life changing effects. Compensation is there to put you back to the position you was in before the negligence occurred and if that is not possible it is awarded accordingly to make life more comfortable for the more serious and devastating cases. Compensation claim for medical negligence will be calculated using damages that have been incurred. The amount that is to be awarded is of the courts discretion and comes solely down to how much a person has been injured due to the medical negligence and how their quality of life has been affected. Of course there are more factors to take in to consideration especially if the person injured loses out on earnings and as well as themselves their family suffers to or whether they are a carer for someone and can no longer deliver that duty. Here our specialised professional medical negligence solicitors can help in all avenues of any medical negligence claim as long as it can be proven that there has been a breach of duty and such breech has caused harm. Almost all of the claims brought to us are managed on a conditional fee agreement which means if your case loses then no money is required from the client either to pay legal fees or to the opposing side, if the case is won then up to 25% of a success fee is paid to us for our services. Medical negligence is when a health care worker which can include but is not exclusive to, doctors, nurse, dentist or carer that has provided some kind of health treatment that has been of below par standard and in turn has caused the patient/client to be harmed as an effect of the service that has been provided. Making a claim for medical negligence means to claim compensation, an amount of money for the harm that has been caused and the damage it has had on the victim overall. What Compensation can be Claimed for? General Damages; they are there to compensation the victim for pain and suffering that has occurred due to the negligent act. They will be calculated by how much the victim has been injured and due to this how has their quality of life has been affected as a consequence. To prove such injuries have taken place medical records along with unbiased medical experts will be needed to prove that a person of ordinary skill would have not committed such an act of negligence. 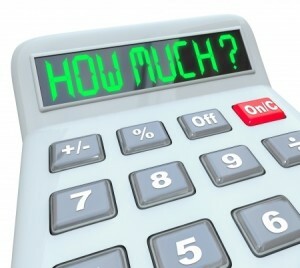 A compensation calculator can be used to assist you in working out how much compensation may be awarded. Such loses need to be proved so it is best to keep any receipts that you may have and have resulted out of the due to the incident. Proving theses expenses of the care and equipment needed as part of the aftercare rehabilitation will be worked out by the professionals. What is the Average Claim Amounts for a Medical Negligence Claim? In theory this is impossible to say as each and every case of medical negligence is completely different no two people are the same and not to incidents of medical negligence are either with each clinical negligence incident affecting the victim differently. Cases of medical negligence can range from anything from £1000* to amounts exceeding £200, 000* and much more depending on the severity of the case, a compensation calculator can assist in giving an estimate to how much medical negligence amount can be awarded. Is Claiming Medical Negligence Compensation the Right Thing? Victims of medical negligence claim for many different reasons. Those who just want an apology and admissions that the service which they received was below standard and conformation that it will not happen again can receive such information by filing a complaint through the complaints department. Those who believe that as a result there life has been disrupted and an injury has been sustained through no fault of their own and need funds to return their life back to how is was need the money awarded through compensation to do so. There are victims of medical negligence that have no other choice but to make a claim for compensation as the aftercare and assistance needed would be far above the means of any person. Those who suffer severely due to medical negligence and can no longer work, have little or no quality of life and rehabilitation may be only small chance if any at all, need funds awarded to live a comfortable life. How Do I start a Claim for Medical Negligence? It is possible to make a claim online by filling out a simple contact form and waiting for one of our expert medical negligence solicitors to get back to you. They are of a senior status and can tell you if you have a valid claim for medical negligence. The consultation is free and causes you no financial risk to make a claim for medical negligence. Or if you would prefer you can call our team on 0151 5505 262 and speak to a highly trained medical negligence solicitor who can assist you in each and every avenue of your claim if it deems acceptable. Can making a Claim for Medical Negligence be arranged on a No Win No Fee Arrangement? Most of the medical negligence claims brought to us can be done on a No Win No Fee arrangement which is broadly known now as a Conditional Fee as the law changed in April 2013. The changes that came about mean that if a case for medical negligence is lost then our clients do not have to pay us a penny nor do they have to pay the opposing side any fees, if the claim is won we can take a percentage of the compensation awarded. It is important to note that if the case is taken on a Conditional Fee Arrangement then you are not at any financial risk and any upfront costs needed in filing a medical negligence case that may occur while the case is proceeding will be funded by us to ensure that you our clients are never out of pocket. Can I Get Free Advice On Hospital Negligence Compensation Claims? The answer is yes we offer free advice on hospital negligence compensation claims and we also let you know the full options on what to do next. If you do choose us to deal with your claim we make sure your claim has the very best chance a winning compensation.